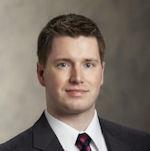 Benjamin A. Lee is an Associate Attorney at RHBG, joining the firm in 2014. He practices civil litigation concentrating in medical malpractice defense, as well as professional and personal liability. Ben also represents individuals in medical licensing and investigations before the Department of Health. Ben is admitted to practice in Rhode Island, Massachusetts and New York. He received his B.A. from St. Lawrence University and his J.D. from Albany Law School. At Albany Law School, Ben was a Senior Editor of the Albany Law Review. Prior to joining RHG, Ben was an Associate Attorney in Albany, NY, practicing civil litigation with a focus on professional liability, premises liability and personal injury defense.